Things I like about Sydney No. 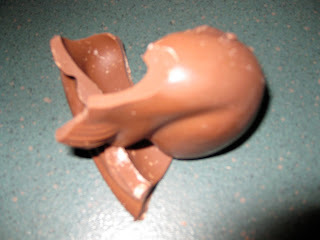 18: the Easter Bilby. Back home in London we have the Easter Bunny, the Easter Chick, the Easter Egg but here in Sydney, come Easter Sunday, it's three cheers for the Easter Bilby. 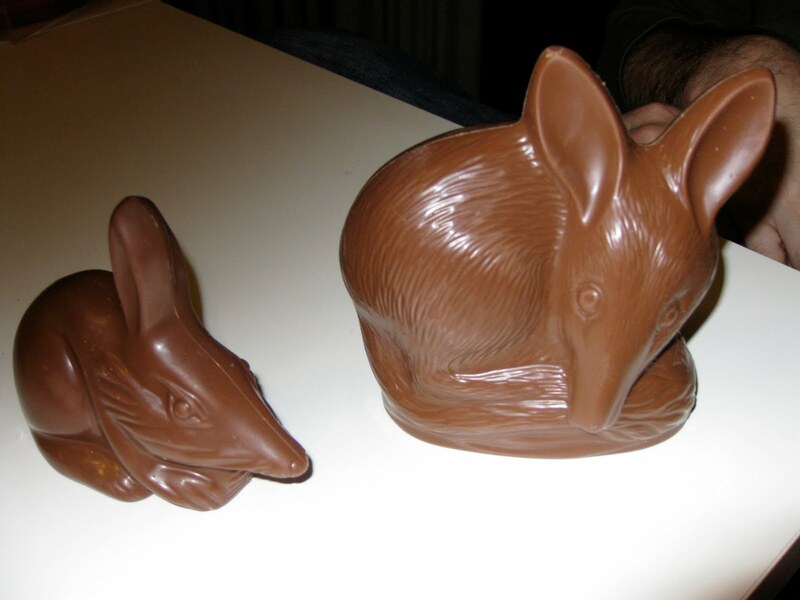 Yes, the bilby - an insignificant-looking rat-like marsupial which is nevertheless worming its way into the hearts of a nation (we're talking an increasingly plump nation mind you) by becoming a national symbol for Easter. We have here (apart from Daniel obviously) two different Easter Bilbies by two different chocolate companies: Haigh's (who claim to have been there first with the Bilby idea) and Darrell Lee. Not being Australian I don't have any feeling about either chocolate company but Daniel was very sniffy about his Darrell Lea Bilby so they are obviously the downmarket alternative (perhaps like Cadburys is to Thorntons). Ah well, chocolate snobbery, can't be doing with it, chocolate gives me migraines anyway. which I think is a very apt metaphor for their current state in the wild. The only other time I have heard about a Bilby is through Martin, Daniel's brother, who found a Bilby in his garden in Adelaide last year. But it was, unfortunately, already dead. He picked it up and put it in the rubbish bin along with all his other rubbish but then, on reflection, felt terrible that he'd put an endangered species in the trash and spent several sleepless nights wondering whether he should rather have scooped it up and taken it to the nearest natural history museum or at least to a vet or anywhere really rather than putting it in with the rubbish. 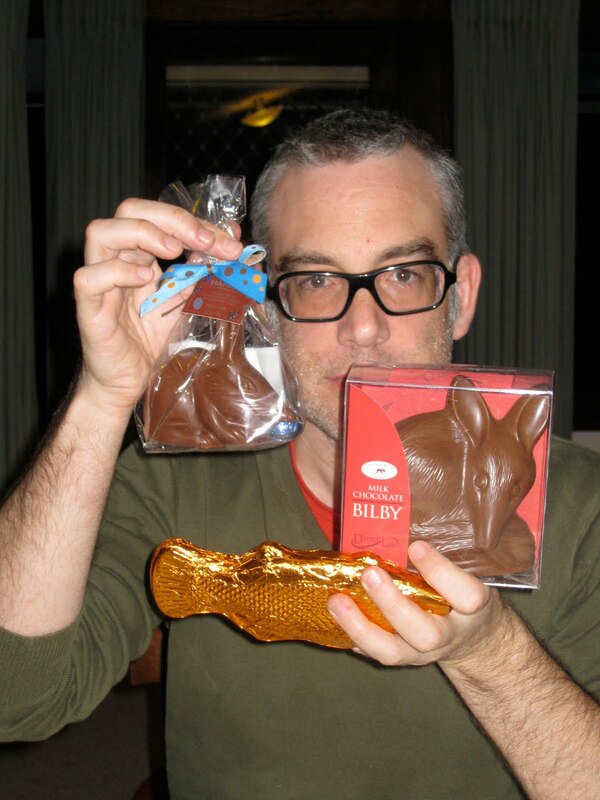 Me, I would have nipped off with that Bilby to the nearest taxidermist to get me something special for Easter...something lasting and non-fattening at that.